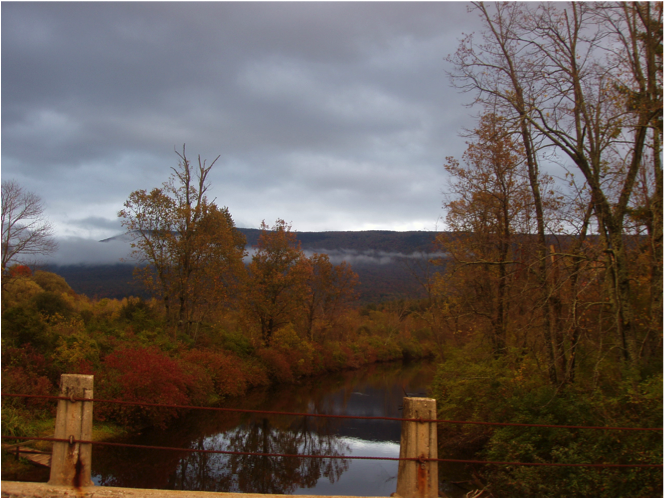 Posted: Monday, March 15, 2010 | Author: Marti (Michalec) Williams | Filed under: 2k7 | Tags: berkshires, Bible, calling, feed my sheep, john 21, missionary, reinstatement of peter, Urban |Comments Off on Am I Hearing Things? 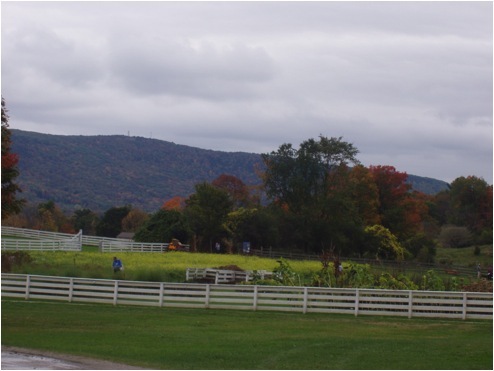 So, Cindy and I are in the Berkshires….enjoying the beautiful weather and sites. I had been reading a book called Prayer: Finding the Heart’s True Home by Robert Foster, the same guy that wrote Celebration of Discipline. Cindy and I also read some novel by Nicholas Sparks, too. Actually, I read the whole book aloud to her. She loves listening to books on tape, but doesn’t really like to read. So I was her live book reader! It was fun! 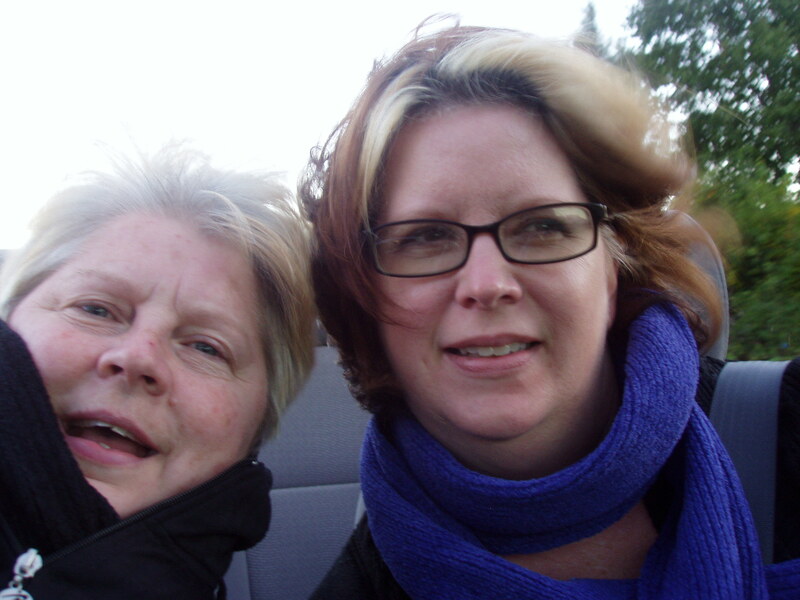 But, one of my favorite parts of the trip was just driving around in the convertible…just chillin’. One particular day we went driving late in the day and the sun was going down, but we still had the top down and were wrapped up like Eskimos without a care in the world!! (note the pic!) While looking up at the beautiful mountain, I was took a few minutes to kinda softly sing/hum a song….one of the songs that we would sing at church that was praising God. I sensed this voice saying, Marti, do YOU love me? I was like…well…uh… yeah. Of course I do. I heard it again….do you LOVE me? Me: Well Duh! Yes. You know I do. What’s this all about? Voice: One more time…do you love ME? Me: I just laughed….and said….ok. YES!!! I LOVE YOU!!! I didn’t think too much more of it. Until the day we flew back…stuck on a layover @ JFK. I was reading the last few chapters of the book on prayer. The last chapter is on Radical Prayer. Wow, I wish I could find my copy. But, one of the last pages, could even be THE last page…the author was writing about a conversation between Peter and Jesus in John 21. The scripture states that Jesus asked Peter 3 times in 3 different ways: do you love me? Then it hit me… Feed my sheep. I sat in the airport and wept. Cindy didn’t know what to do with me, and frankly, I wasn’t ready to talk about it. As a matter of fact, few people have even heard this story. It’s been a while….2.5 years ago…of processing it with the Lord. The Lord has called me to “feed His sheep”. For the last 2.5 years, I have been pondering and praying…what all does that mean? I still don’t have a full picture of it. For one…I know that I am called to feed HIS sheep. They are not MINE…but HIS. He is in control, not me. I can only do what I can do…and leave the rest up to Him. I haven’t always felt that way….thinking I had to do it all on my own and in my own energy. I didn’t always really trust that God’s got it. I have had to learn that…over and over, actually. Another…I am called to serve, to be Jesus and bring Jesus to HIS people. I needed to learn to step out….to be bold in that. The Lord has been equipping me for that. In John 21 it refers to this part of the chapter as Peter’s reinstatement. I think this too was my reinstatement. I can’t remember denying Jesus 3 distinct times like Peter did…but, there had been sin in my life that needed to be confessed and forgiven. It was definitely a cleansing time. Lastly, I don’t think He is done with this scripture yet…I think there is more to come. I will continue to seek God’s will in my calling…my ministry. Tomorrow…more on the story on how I met the other ½. Stay tuned! !